This hot pink Kate Spade bag was love at first sight. I was looking for a bright coloured bag. In the past I have had a tendency to go for bags that will go with plenty of outfits and be very versatile. This is mainly down to me not changing my bag everyday. Not that I don't want to, I just simply don't have the time. Does anyone else feel that way? However, recently I felt that I needed to spice up my bag collection with some colours. 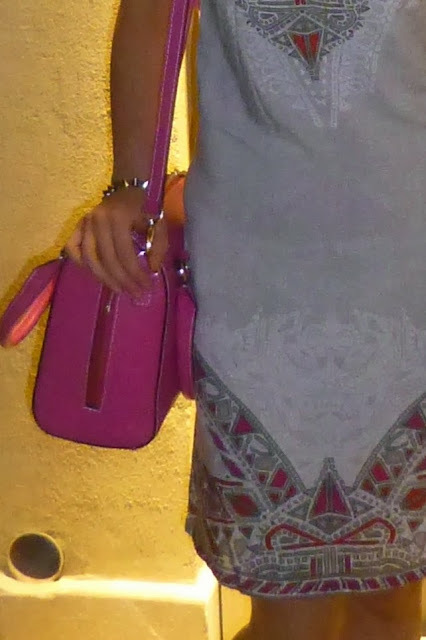 I know this bag is matching this dress but I have worn it with a few different outfits and it seems to go great with alot. Sometimes a pop of random colour really lifts an outfit. For this bags debut on holiday in Dubai, I paired it with this dress I had been eyeing up for a while but only purchased it as soon as it went on sale. I just loved the tribal print.You know you have a bargain when you were eyeing it before the sale price! 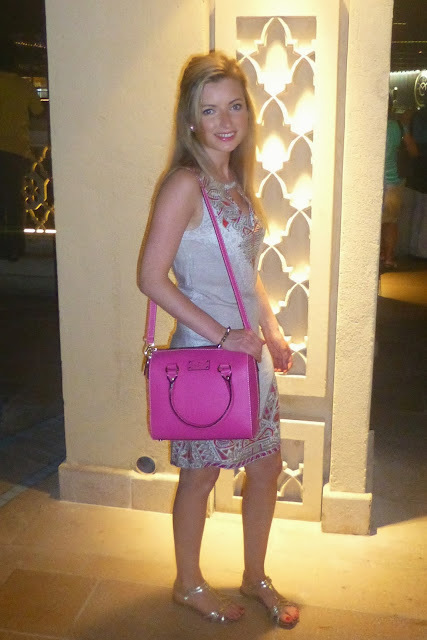 More outfit posts and updates from my travels in Duabi to come shortly. Bag; Kate Spade, dress; Warehouse, sandals; next.